As of Sunday lunchtime, Bwin had plenty of bets on offer for the Euroleague Championship match and they still had Real Madrid down as the favourites for the game and for the title. The Spanish side can be found with odds of 1.35 and Olympiacos Piraeus are on offer at odds of 3.50. If you fancy the odds of a draw occurring in regular time, you will find this available at 13.00 and for the three way regular time betting odds, Real Madrid move out to 1.40 and Olympiacos Piraeus move out to 3.55. The handicap bet is something that plenty of people are looking for and Bwin place Real Madrid at odds of 1.28 with a +1.5 handicap while Olympiacos can be found at odds of 3.60 with a -1.5 handicap. For the Overs/Under market, going OVER 155.5 is available at odds of 2.05 and going UNDER 155.5 can be found at 1.75. Have a look at our comprehensive Euroleague Betting Guide. 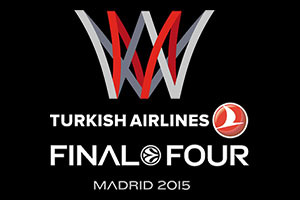 We encourage you to read this guide if you are new to – or want to know where to wager on the Euroleague Final Four. There is a wide spectrum of Over/Under bets available from Bwin, which can be seen by some of these bets. If you fancy this to be a tight final with very few points, you can bet UNDER 145.5 with odds of 3.10. Going OVER 145.5 is available with odds of 1.35. At the other end of the market, if you think this is going to be a stunning finale of points, you can bet OVER 169.5 at odds of 3.90 while going UNDER 169.5 is available at 1.25. If you think that a player, from either team will achieve a double-double in the final game, you will find this available at odds of 3.00. If you think that a player, from either team, will achieve a triple-double, you will find this available at odds of 21.00. Bwin clearly thinks that this won’t happen but there is no getting away from the fact that big games inspire big players to turn in big performances and you just never know who is going to grab the challenge of winning this game for their team. Do you think one player will run riot on the court tonight? If you fancy any player on the court to grab 30 points, you will find odds of 9.00 and odds of 21.00 are available for any player scoring 40 points. These bets, and the double-double and triple-double bets include overtime so if you fancy it to be a tight game that needs more time to separate these two teams, these bets may be of benefit to you. Bwin also has plenty of bets on individual players and how many points they will score. Gustavo Ayon had a fantastic Friday night all across the court and there is an Over/Under option for him with respect to how many points he will score in the Euroleague Championship final. The Over/Under market rests on the 9.5 mark and you will gets odds of 1.85 for OVER and UNDER that mark. Other players available with an Over/Under betting market on their points total include Jaycee Carroll, Andres Nocioni, Felipe Reyes, Sergio Lull, Sergio Rodriguez and Rudy Fernandez. It is not just about Real Madrid players though as these bets can be found for Oliver Lafayette, Bryant Dunston, Othello Hunter, Vassilis Spanoulis and other Olympiacos players. If you really want to ramp up the excitement of the Euroleague Final Four, there are close to 130 separate bets to choose from on the Bwin site, so get involved and have some basketball betting fun on Sunday the 17th of May.